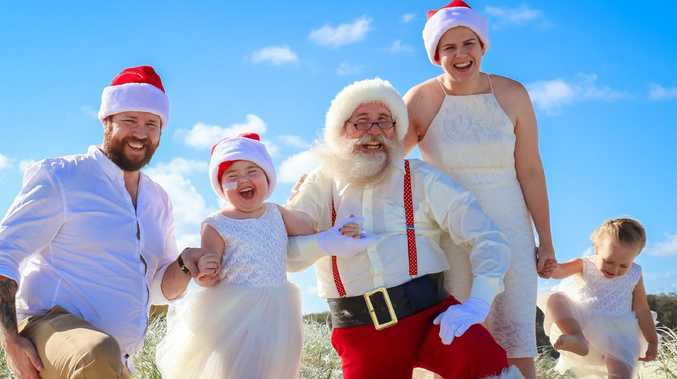 Paige Skarratts with parents Jake and Tania, sister Imogen and Santa last Christmas. Picture: NATURALLY CREATIVE PHOTOGRAPHY. SHE'S the cheeky little girl who was not expected to make it to last Christmas. This year Paige Skarratts will receive the biggest gift of all - a baby brother. Paige's father Jake said the news the family was expecting another child was both exciting and terrifying at the same time, given what they are going through. "Paige is excited it's a boy because she's always wanted a baby brother," he said. Paige, 5, already has a little sister, Imogen. The Skarratts family is expecting a new addition. 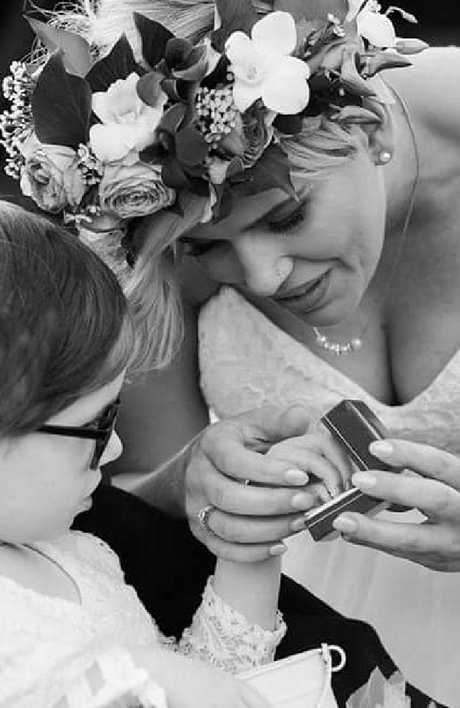 More than a year ago Paige's parents, Jake and Tania, married at Brisbane's Lady Cilento Children's Hospital so she could realise her dream of being their flower girl. The impromptu ceremony was performed when doctors said Paige had just days to live after being diagnosed with an incurable brain cancer. 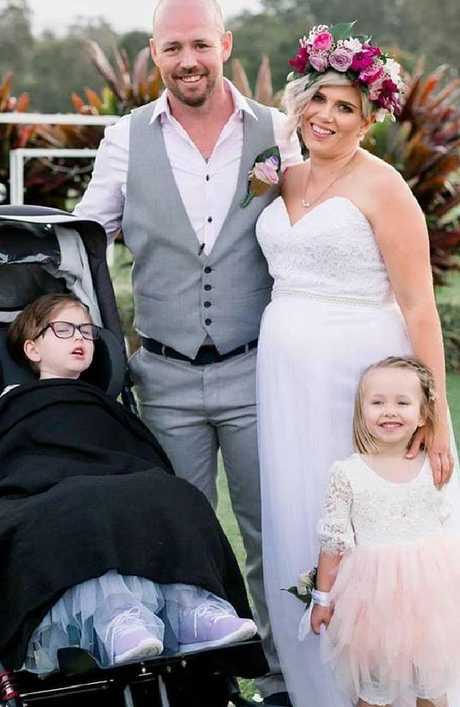 The ceremony prompted a massive outpouring of love for the young Pimpama family, who have been through a series of highs and lows since with Paige defying expectations and returning home after a marathon six-week course of radiation. On September 30 this year Jake and Tania renewed their commitment to each other and this time Paige was awake and able to be helped down the isle. "She was able to throw the flowers this time and actually remember it," Jake said after speaking with doctors and nurses yesterday. 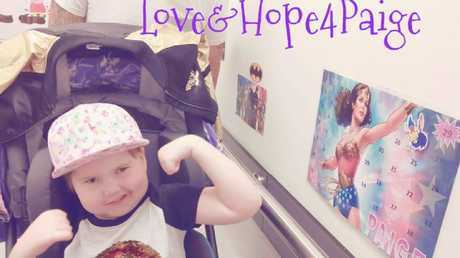 Paige is back at the Brisbane hospital and the tumours have spread again. 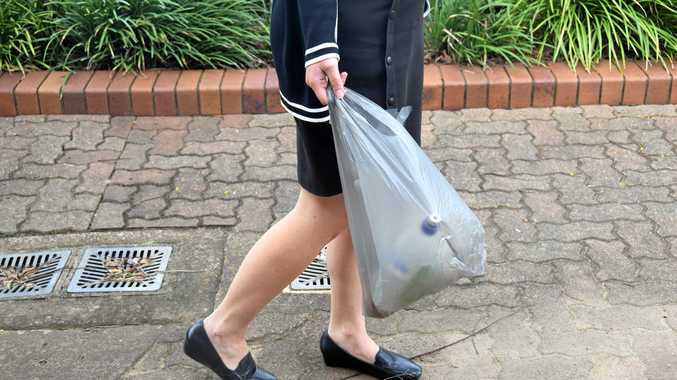 Her parents are taking turns living between the Gold Coast and Brisbane to look after Paige's younger sister Imogen to "keep things normal for her". Despite the challenges of surgeries and heavy medication Jake said Paige could not wait for the arrival of her baby brother - just like the rest of the family. "It's just another thing to throw into our hectic life. She's always wanted to have a little brother, so she can't wait for it. "She's still sleeping a lot because some of her medication can bomb her out quite a bit. She's still talking. "All the little things knock her around even talking, but she's still her cheeky self." Paige Skarratts, after a six-week course of radiation after defying expectations of doctors who told her parents she had only days to live in September 2017. After renewing her vows with Jake in September this year Tania paid tribute to her daughters. "Precious Imogen and Paige, you are the gifts our love has brought into the world. It is not only our honour to renew our commitment to each other, but to you all as well," she said at the ceremony. Paige Skarratts hands the ring to her mother Tania during their wedding ceremony at Lady Cilento Hospital. "We promise to continue celebrating our joys, comforting you and strengthening our family's future. "From the moment we both knew you were going to bless our life we fell in love with you." The family document their developments with the Facebook page LoveandHopeforPaige. More than $76,000 of a $100,000 fundraising goal has been donated to the family in the past 15 months through crowd-funding website www.gofundme.com/jake-and-tania-for-paige.